Robyn Fog-Wiltse: Owner, Trainer, Athlete, and also the Sasquatch! 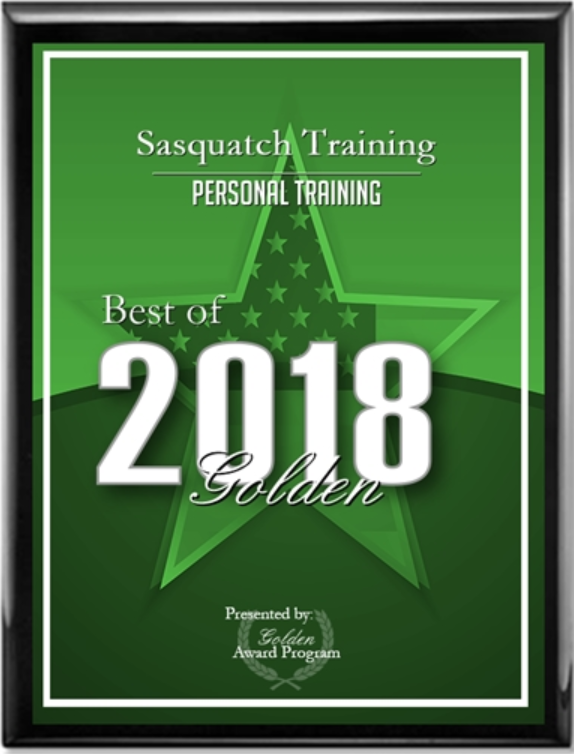 Voted Best Business for Training in Golden 2014 , 2017, AND 2018! Here at Sasquatch training, we focus on creating custom-tailored, sustainable, and safe fitness programs that will take you to the next level. We believe that there is no one-size-fits-all solution when it comes to fitness and injury prevention. Nor are there quick and easy solutions. By creating a sustainable, long-term approach to fitness goals, you will see better results that stick over time. Located in Golden, Colorado, we specialize in keeping the Front Range fit from Denver to the foothills. Most of our clients are professional athletes with high-level conditioning requirements or business executives with little time to get to the gym and prefer to workout in-home. Sasquatch Training provides the highest quality in-home and fitness studio Personal Training Services with a strong focus on Injury Management. All clients begin with a 60-75 minute FREE consultation and Fitness Assessment. During the session, we discuss your personal goals, past fitness and nutritional history, and overall lifestyle and health. This is followed by a series of fitness tests that identify musculoskeletal strengths and weaknesses (what are your areas of physical strength and what areas could use improvement). Next, we use this analysis to create a personalized fitness program that best suits your unique needs. Together we discuss the next steps and get the ball rolling with your customized plan. Our goal is to create a cohesive fitness plan that will grow with you, keeping you safe, healthy, and fit. Robyn Fog has extensive knowledge of healthy dietary intake for athletes and non-athletes alike. With an MS in Physiology and a Fitness Nutrition Specialist license, she is able to work with your budget and goals to get you on the right track to optimal metabolic health. Not one to be swayed by trendy fad-diets, Robyn takes the time to complete her own research of current primary clinical research papers and literature reviews. She ensures that her clients maintain their health with an optimally balanced diet that is always designed with significant scientific support. No two athletes are alike and neither are their metabolisms! Your nutritional intake should be custom-tailored to your needs, just like your workouts. This wholistic process ensures a balanced lifestyle and overall wellness results. Read more about Robyn's credentials. Disclaimer: Please be aware that we do not support rapid weight-loss. If you are a weight management client, we will work with you to create a long-term sustainable program to help you achieve your goal in a safe and healthy manner. Nutritional Consultation packages can be purchased separately or together with a Training Services Package.